Thank you for your roofing referrals. If you know someone looking for reliable roof repair in the Colorado Springs area, send them to Reliable Roofing Systems. And we recycle roof waste and never require money upfront. 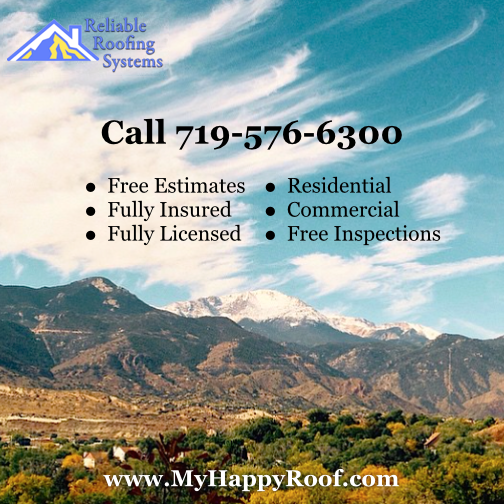 We also offering roofing services in Woodland Park, Pueblo and Divide, CO.
News story about local Colorado roofing scams. Contact Shane, owner of Reliable Roofing Systems if you’ve been scammed and need help.